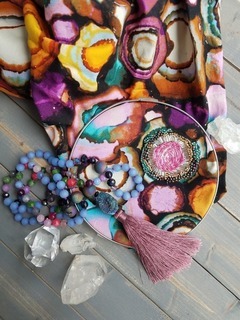 This inspired mala features the colors and energies of this elecitrcally charged dance. 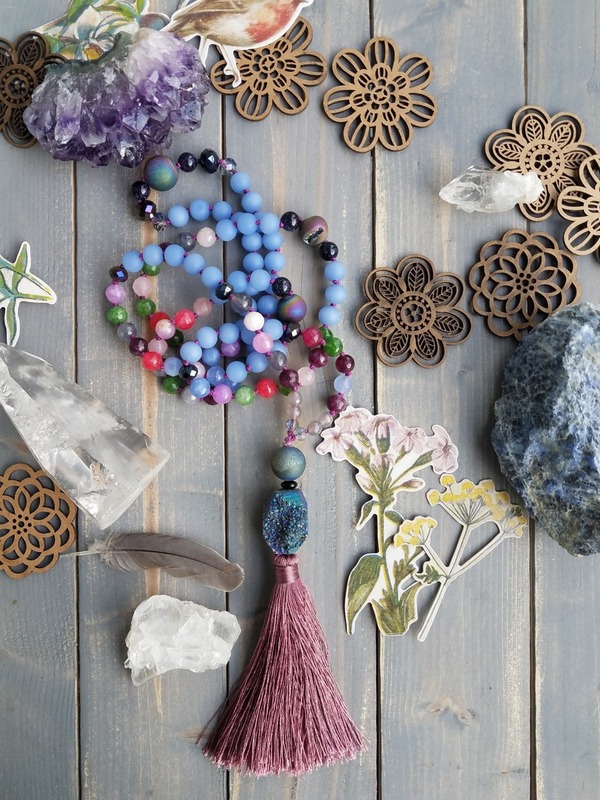 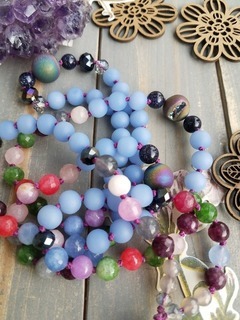 It's a mala for energy movement. 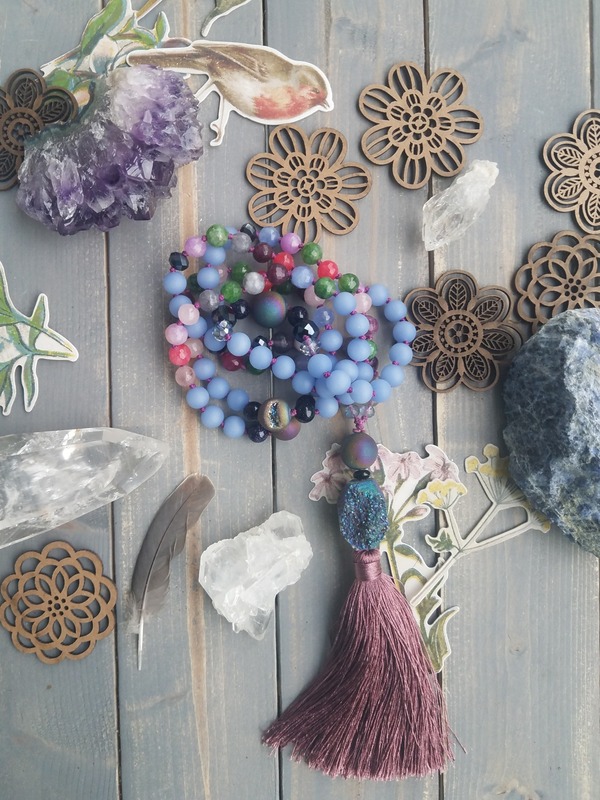 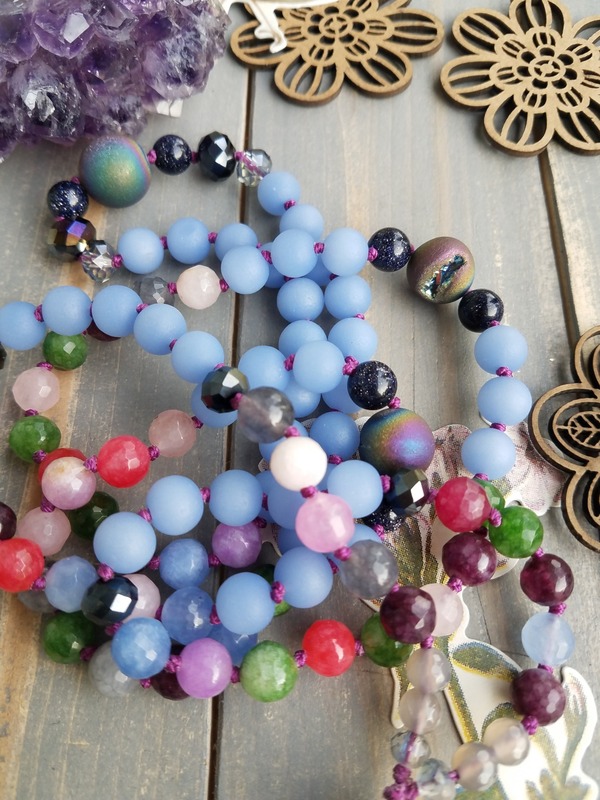 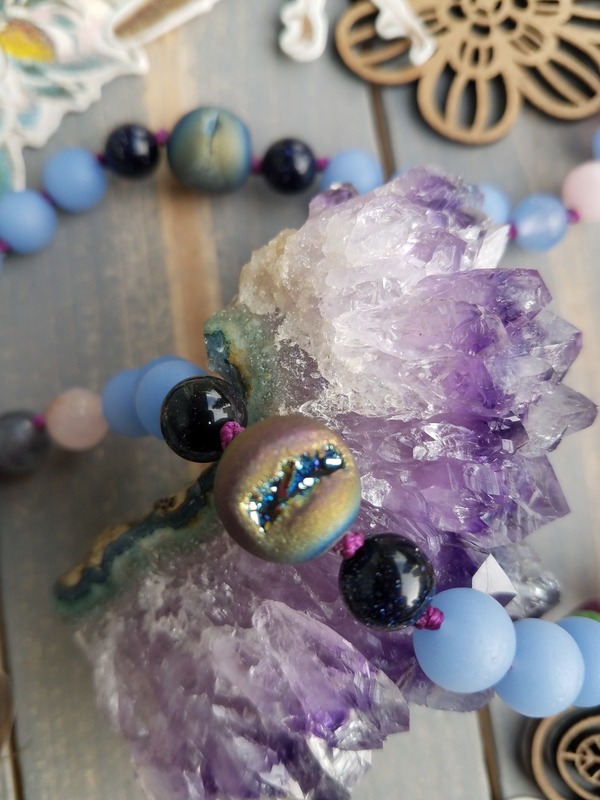 Hand knotted with Cornflower blue cultured sea glass from recycled sources, beautiful colored jade and agate, titanium druzy beads, and finished with a titanium coated aura druzy guru bead with dusty mauve tassel.